I haven’t been blogging much lately, mainly because I’ve been busy with other things. 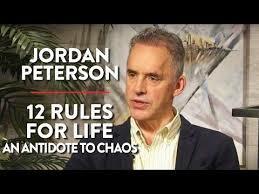 One of those things has been writing a review of Jordan Peterson’s book, 12 Rules for Life: An Antidote to Chaos. The review was commissioned by the Literary Review of Canada (LRC) — the Canadian cousin of the New York Review of Books. And it really got me thinking on how to solve the central problems in overcoming addiction (what many call “recovery”). 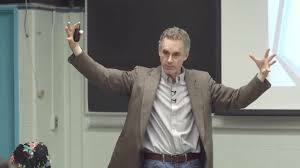 Peterson is an international phenomenon by almost any standard. He has amassed millions of YouTube followers and a stream of interviews from talk show hosts. His book was the top seller (overall!) on Amazon for at least two months and is still #6, four months after publication. 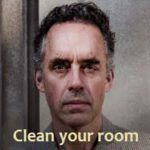 A professor of psychology at the University of Toronto, Peterson has been cheered and even glorified for his radical approach to self-improvement — presented in his new book and his many online lectures. What he proposes is a set of guidelines highlighting self-honesty, personal responsibility, and what we in the addiction world have long emphasized as the bedrock of growth, empowerment — believing in your own intentions, intuitions and capacities for change. But Peterson has also been a lighting-rod for criticism. His detractors claim that he is anti-feminist, anti-LGBT, anti-social justice, and a voice for the politically incorrect (shudder) alt-right. This reaction has activated a subset of Peterson followers who are indeed highly conservative or libertarian, and sometimes quite vicious in their attacks on Peterson’s critics. But we have to extract Peterson’s message from the surrounding political hubbub. In my view he’s neither left-wing nor right-wing. As I emphasize in my review, he speaks as an individual, not a political movement. If you haven’t heard of Peterson or listened to any of his many online lectures, here are a few goodies: A discussion of the book in a lengthy interview with Dave Rubin. A shorter version, in lecture format . 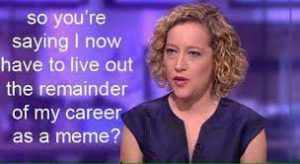 An oft-clicked, contentious interview with Cathy Newman, a feminist British reporter and presenter. So what’s all this got to do with addiction? I had to get pretty deeply into the book, and in the process listened to a lot of Peterson online, in order to write an intelligent review. In doing so, I found myself very often drawn to Peterson’s recipe for self-improvement. I think his advice is both practical and potent for people struggling with addiction, and I intend to use it more and more in my own work. 1. They want to create a massive change in their lives, but the change is so massive that it overwhelms their capacity for self-control, self-direction, choice, or whatever you want to call it. So they fail, again and again. 2. Because they fail at doing the one thing they know they should and must do (and usually want to do), they experience enormous levels of shame and guilt, often taking the form of a critical, self-denigrating internal dialogue. 3. The third problem is that problem #2 (self-denigration) fuels the depression and pessimism that greatly contribute to problem #1. A horribly vicious circle. In my view, Peterson has some really good suggestions for overcoming both problems 1 and 2, which of course eliminates the existence of problem 3. I’m going to give you the gist of those suggestions here and then expand on ways of implementing them in my next two posts. Of course the next question should be, How do you set up incremental sub-goals in the case of drug addiction? Shouldn’t you Just Say No to Drugs? I don’t think so. In my psychotherapy with people in addiction, I try to aim at steps in the right direction, beginning with controlled use or harm reduction. More on that to come. Peterson says “the self-denigrating voice…weaves a devastating tale.” Engage with the internal critic, he urges. Don’t listen to its exaggerated claims that you’re completely worthless. But don’t ignore it either. “Called upon properly, the internal critic will suggest something to set in order, which you could set in order…voluntarily, without resentment.” In other words, with a little work, that voice can become a valuable ally. Again, the question is, How? How do you turn a damning, denigrating internal critic into a negotiating partner who can help you move ahead? I’ll provide some concrete ideas two posts from now. Jordan Peterson seems to understand how hard it is to achieve necessary changes in how we approach life, especially when it comes to breaking entrenched habits of thought and behaviour. He approaches these challenges with both the compassion of a fellow traveller and the practical wisdom of a good clinical psychologist. 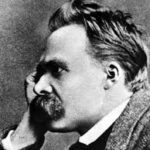 He also ties his ideas to compelling lines of thought from philosophy (especially Nietzsche), social science, evolutionary theory, and even religion. 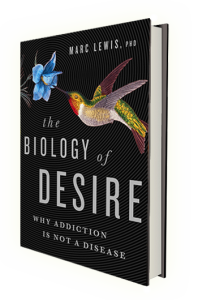 A fascinating thinker, overall, with an especially helpful perspective for refashioning psychological approaches to addiction. Please elaborate. I’m interested also in your reason for ugh conclusion. see how we can grow to be more loving kind safe individuals. I will give it a look! No, I didn’t mean it that way. I was referring more to his social power to tell others what they should do and the posse of adoring fanboys he’s collected. It doesn’t matter what his gender, ethnicity or sexual orientation is. His ideas will stand or fall on the merits. I like his ideas that you outlined above. I think they are useful in overcoming substance use disorder which really does come down to self-responsibility and choice. Making changes is daunting. Setting achievable goals builds confidence for the next incremental change. That is very empowering, particularly since it is self-directed. A vast improvement from the ‘powerlessness’ preached by 12 Step groups. It would lead to a more lasting change and filter into other parts of a person’s life as self-confidence grows. I also like that this supports harm reduction which I believe is essential. That’s the way I see it too. And yes, he’s collected an enormous tribe of fanboys…which is disturbing. I believe it’s at least as disturbing to him as to most others. It seems we’re watching two entirely distinct phenomena at the same time: the expression of some interesting ideas about self-direction and an eruption of ill-defined outrage in both the extreme left and the extreme right. Want to really understand the internal critic – read Trauma and the Soul by Don Kalsched. The solution to overcoming addiction, trauma, life? Integration. Get ready for a different tone and fury in these comment sections, Marc. You might want to also let people know whether you fully agree with his positions on gender, women, parenting, and religion. 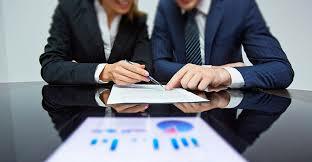 It may help communicate your more nuanced views that were laid out in the review. Having had the privelage of having that more nuanced talk with you, it is clear that what you value from Peterson (and what you emphasize here) is NOT his views around pronouns, feminism and religion. Or this is the perfect place for that discussion . Absolutely. Sorry to have been so reactive. Protective of this space maybe a bit too much on my part. This is indeed precisely the kind of forum to have nuanced and open discussion! I can’t tell if you’re joking or not. What is the relevance of our stance (or the author’s) on pronoun use or any of the other variables you listed in a discussion of addiction and recovery? Tying to understand anything as complex and divisive as addiction is inherently shaky ground, so we look for authorities, voices we can rely on, positions that are valid and coherent rather than extremist and biased by hidden agendas. So….we examine people like Peterson, to see if he’s…I guess the word is “trustworthy.” Whether that’s good or bad, sensible or dumb, it’s what we tend to do when looking for answers. “Keep it simple” and “just do it” are pretty good paraphrases. And yes, I do see a parallel with Krishnamurti, whom I used to read obsessively. I’ll never forget going to see Krishnamurti talk after reading a few of his books. He sat in a straight-backed chair and just spoke, ad lib, about what to him seemed obvious. That’s often the way Peterson comes across…at least when he’s not irked and defensive. I for one love Jordan Peterson. He brings a candor and real world straight forward no BS approach to things. I feel many of his critics who accuse him of being alt right or anti this or anti that don’t like that he is challenging many currently accepted concepts. Its easier (and lazier) to label him as alt right (translation = a bigot) and therefore his stance is not to be taken seriously, than to counter his arguments with facts or even a solid counter argument. As with all tools and thoughts in recovery its never a one size fits all – Marc I can sure you attest to that since you have critics of your own – but for me Dr Petersen’s work, as with Dr Lewis’ work resonates and deepens my recovery. Take what you like and leave the rest as we say in 12 Step groups. Jordan Petersen is a FRAUD!!! He believes that moral atheists are actually religious and just don’t know it, and that’s why they’re moral! That’s just one example of his rampant stupidity and you’re wasting your time writing a review on a “self-help” book written by one of the alt-right’s latest pets??? Well I’m done with you Marc; you have lost ALL credibility with me. Why don’t you just join Kanye West and put on a MAGA hat you dunce? From first reading, this seems a more are-wording of AA, which is a well known and established program. 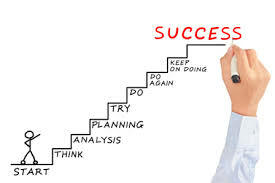 1) The word, “steps” or “rules” (to success) is indeed AA like . 3) The description of the approach being a “recipe” is AA-like. 4) the B&W idea “Chaos” is addiction is the “Order” is recovery is AA-like. It is hard to tell, but it seems this approach also sees recovery as something that is maintained and controlled which is AA-like, rather than something that occurs. which is a way of thinking , but not a for understanding addiction , I don’t think. Hi Carlton. There may be some similarities, but I think they’re mostly superficial. 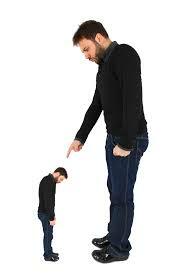 For one thing, Peterson wouldn’t see addicts as having defects. He considers most of the problems facing people who get paralyzed or stuck to be universal problems, not specific to particular afflictions. And his use of “antidote” is just a verbal trick. Don’t read too deeply into it. I imagine Peterson would find one aspect of AA to be truly distasteful, and that is their emphasis on the wisdom of the collective. Peterson wants people to think for themselves, according to their personal instincts and aims, rather than manifest group aims or take on the mantle of a group identity. Hahaha…..I’m afraid you’ve opened the can of worms. Imo Jordan Peterson is a breath of fresh air to counter the foetid stink of the virtue signalling, free speech enemies busy enshrining their world view of victim culture and identity politics in law and society writ large. Finally someone has the fortitude to stand up to authoritarian tyrants in the making with their compelled speech and mob mentality, their marxism in disguise, not with violence but with reason. I love how his detractors respond to his well thought out arguments with ad hominem attacks and insults as though all that was necessary to counter them was the stamp of disapproval from the “right thinking” sjw’s prevalent in western society. If you disagree with his stand on some issue then debate or counter it with reason but I must say I see very little of that happening. The guy certainly doesn’t shy away from a debate and generally seems to acquit himself very well in them. I don’t agree with everything he has to say but I will defend his right to say it to the end because free speech is the cornerstone of a free society. I will take individual liberty, individual responsibility, and freedom of thought and speech, the civil exchange of ideas and reasoned debate, over authoritarian tyranny any day. Wouldn’t you? PS: Dr. Peterson is a very highly regarded, prolific author of a wide range of papers and studies in the field of psychology, including several papers on aspects of substance abuse. Say what you will but the guy is no lightweight. Keep at it Marc I think you are on to a good idea. Thanks, Jeremy. Obviously we have some reactions in common, though I do see a good deal of vicious, ad hominem verbiage coming from the other side — that is, from Peterson’s supporters, not necessarily from him personally. Yet I have seen him overreact quite severely, and make inflated accusations with broad brush strokes. I think he’s like any other human: he can be snarly and defensive when he’s repeatedly cornered. But he sure is fun to watch in a contentious interview or a debate. I adore Jordan Peterson and attribute a lot of my growth in the past 1.5 years to his philosophy and communication methods. This was a great read, and I appreciated how you cut through the noise around his persona. I’m with you Adam and totally agree. 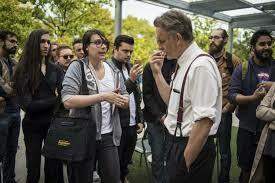 I was delighted to see Marc who I also respect immensely highlight Dr Peterson’s work. The biggest take away I get from Dr Peterson’s message is “Own you s**t” which is a message anybody addict or not can benefit from. I’m more than a little suspicious of anything and anyone who places all of the burden of change on the individual. The damaging and disorganizing experiences that initially contributed to my difficulties didn’t happen in a vacuum, nor have the most healing and integrating experiences. They have almost universally unfolded in the company of compassionate, caring, understanding communities of real human beings (and other life forms). I agree with you Mark but that is not my take away from Dr Peterson’s work. I take his message to be essentially take charge of your destiny. We are a tribal species and as you say things do not happen in a vacuum but at the end of the day I can get all the help and compassion I need, be surrounded by a large and loving support community but it’s MY recovery. I am the one who ultimately has the power to make it work. Or not. Mark, I don’t think Peterson or any other sensible person would deny the vital importance of the social surround, both in causing and in alleviating damage. In fact Peterson gives a lot of thought to cultivating care, compassion, and responsibility for other people. He considers this a primary goal of “growing up”. Hey Marc. Thanks so much for this. Had a family conversation with in-laws about Jordan Peterson at family gathering and most of left leaning family were virulently “anti-Peterson” and saw him as a willing tool for the Alt-Right. But I instinctively feel there is much more to what he is saying. I am not that versed in his points but plan to read them. The points that you bring out from what he wrote seem to me to relate directly to struggles to over come addiction and move toward health and wholeness – I relate to them totally from my own experience. There is also something powerful to be said about Peterson’s popularity. He is obviously touching upon something that is very relatable to by many people and to put this down I think is to deny the importance of other people’s realities and experience. I really think you are doing a powerful service by examining his thoughts and thinking and then responding as you have to people’s criticism. I think we need to have more real attempts like this to understand compelling perspectives from “all sides” of issues. Anyway always love your thoughts and blogs even if don’t always respond. Keep it up. I am going to explore Peterson’s thinking and looking forward to future discussions with my in-laws. Hi Tim. I like what you said about Peterson’s popularity. For many that is a “stay clear” sign, especially when we imagine his supporters as a boisterous mob of right-wingers marching (goose-stepping?) under a banner of the fuehrer. The power of messages should attract our examination, not repel us. (I actually know someone who tried to ban Peterson from speaking on a university campus. What were they thinking?) Because that power comes from people’s needs, their frustration, their stagnation, their suffering. Of course we have to be wary of the twisting of logic once messages become viral. But when messages hit a nerve, as Peterson’s surely have, then we need to be able to understand exactly why. Here is a very cool TED talk that helps make sense of the moral and psychological differences between conservatives and liberals: https://www.ted.com/talks/jonathan_haidt_on_the_moral_mind After hearing this talk, I felt a lot more…liking…for conservatives than I had previously. Being staunchly liberal, that was worth the ride. I love this debate and I am a big fan of Jordan Peterson. I don’t agree with everything and my experience of recovery is that I could achieve nothing positive as an individual. I have always needed to be part of a tribe and my new tribe is in AA. Being part of a tribe deflates my ego – which I need. As for JBP’s critics? Most of the ones I have me tars the usual middle class professionals in higher education and public service careers. Their criticisms are those we usually hear from entitled Marxists living in their own esoteric echo chambers. Great blog Marc. Keep up your ground breaking work. Thanks, Mark. It’s true that the protests from the left tend to come from a more esoteric arena. But I guess that’s usually the case. When I was a university student I was happy to march against the war in Vietnam and a few other things. The universities are supposed to foment opposition. So I don’t think we should ignore these criticisms, but we should recognize that they come wrapped in their own context. Hopefully all this debate will eventually lead to more light than heat. I am a huge fan of Jordan Peterson. His videos and 12 Rules for Life have helped me tremendously in my recovery. A good podcast on youtube to check out is Jordan Peterson and Russel Brand: Freedom vs Tyranny. In this podcast, Peterson and Brand break down the 12 steps from a psychological standpoint. Ugh… a cis-white man empowering a posse of fanboys that aspire to improve themselves and be more responsible in life. What nerve! What is wrong with that, may I ask? Hey, great review Marc! I’ve been fascinated by the phenomenon that is his fame– reading the book now. Thanks Zach. It took a lot of work to try to balance the good and the not so good. But there is a lot that is worthwhile here despite the excesses. And he can be funny! Which I appreciate. Hope you enjoy. The orally regressed neurotic / the addict / does not want to change. The conscious wish is only a smoke-screen for his unconscious appetite for suffering a.k.a psychic masochism. Behind the facade of I want, what these people really want is to be refused. The addictive pattern is the secondary layer of defense against the first, which covers the nuclear conflict. Without analyzing the basic masochistic structure, the neurotic cannot be changed. Most mental health professionals are not simply unprepared for such kind of in-depth psychoanalytic investigation, they are not even informed about the existence of this mechanism, which is a very, very sad thing. There is a coming schism between Traditional Liberalism and Authoritarian Progressivism that can be seen in the difference in reactions to Dr. Peterson. Liberals seem to find much food for thought, ample turf for debate and room for half-agreement, whereas Progressives suffer a virulent outbteak of outrage over such heretical disrespect towards their sacred cows. Much of what Peterson advocates or discusses would be a stones throw from the realm of mainstream thoughy only 30 years ago. Other avenues he pursues are critiques of previously unquestioned Progressive Dogma that has often passed into the realm of the “accepted” without adequate critical thought. Questioning sacred cows is something that is an imperative in a truly forward-moving society. I applaud both of you. I have, from the moment I realized the depths of my addiction, been somewhat skeptical of a recovery industry that is nearly completely based on the 12 Step Ideology. In treatment, any questions I had were denoted as evidence of flaws in my recovery and signs of impending relapse. It was “taking my will back” rather than just the expression of a gut feeling that said “this is missing something, and what it is missing is important.” Submitting to this “consensus” thinking kept me sick for a long time. Thank you Dr. Lewis for having the bravery to stand up against the socially accepted consensus. You’re right: there’s a convergence between consensus thinking in the sociopolitical domain and consensus thinking in the treatment domain. Whether we agree with Peterson on every point or on very few points, he’s poking at the “progressive dogma” — so good for him on that score. And we should continue to poke at treatment dogma, because it simply doesn’t work very well, as your account makes clear.